I read this article by someone who was inspired and motivated by the life story of Dr. Ben Carson. I wanted to share the story and the disappointment of a man who once greatly admired Dr. Ben Carson to show how two different groups view a man who could have been a great example to all. George Cook AAreports.com. [ SOURCE ] The African American neurosurgeon’s story inspired many teen boys, but when he compares America to Nazi Germany, he destroys his own legacy. Dr. Ben Carson was in the news again this week, this time for comparing America to Nazi Germany. But his story is, for many African American men, a deeper tragedy—in ways that others may not know. For me, I "met" Dr. Carson in my 10th grade year. There had been a scuffle at school; well, a scuffle after football practice is more precise. First words, then shoves, were exchanged, and finally, testosterone thick in the air, a few blows were thrown. Both my combatant and I claimed that the other was at fault. And we were both suspended from school. My mother was dismayed, thinking that my college prospects had flown out the window with the first punch. In addition to a range of more severe punishments—no driver's license this year! ?—she marched me into our den and handed me a worn, dog-eared book:Gifted Hands: The Ben Carson Story, by Ben Carson, M.D. I was not to leave the room, except for food, bathroom, and sleep, until I finished this book. A smiling, wise-looking Black man with a stethoscope around his neck stared out from the cover. I disliked him at first; our introduction had not been voluntary, and he seemed like the type of guy who would frown on me getting suspended. But I cracked open the book, and it didn't take long for my opinion to change. Here was a kid, young Carson, growing up in inner city Detroit with an absent father and mom who was facing all sorts of problems. But she still instilled in him the values that allowed him to thrive, and thrive this young man did, all the way to Johns Hopkins, where he became the chief of neurosurgery. I was floored by his story. And l found out later that thousands of other young Black boys were floored right along with me, provoked by thousands of concerned, caring moms who handed them the same book. I can't say that Carson's narrative was life-changing—it was something short of that—but it did become embedded in the back of my mind, a device to pull from at low moments. "Well, Dr. Ben Carson did it, so perhaps so can I." Skip roughly 15 years later. I was at the National Prayer Breakfast in early 2013, and heard Carson's speech there, where he lambasted “political correctness” and progressive policies. It was an unfortunate speech, but not because it was a conservative speech; it was unfortunate because of the occasion. This prayer breakfast, which I had attended for years, is intended to be a haven of bipartisan civility for members of Congress and the president in a year otherwise filled with discord. Carson's disjointed ramblings about health savings accounts and the national debt might be fine at a Tea Party rally, but slotted between prayerful invocations and benedictions, they were caustic, awkward at best. Many in the room, Republican and Democrat, quietly agreed, and decided that future years should not feature such partisan speakers. But the Tea Party smelled an opening, and in Carson they had found their guy. The brief limelight created by his prayer breakfast speech elevated him to the level of pundit, and the fringes of the Republican Party begged him for more red meat. I held my breath when I heard that Carson was speaking at the Values Voter summit last year, praying that he would focus more on the personal responsibility, family-oriented conservative message that had so much power for him, and for those of us who admired him. But, playing to his audience, Dr. Carson took things in a different direction. ”I have to tell you Obamacare is, really I think, the worst thing that’s happened in this nation since slavery," Carson, a Black man who should know better, told summit attendees. “It was never about healthcare," he said, "it was about control." This comparison wasn't a spasm, an aberration. This past week, at another gathering of conservative leaders, Carson declared that we are now living in a "Gestapo age," and that America has become "very much like Nazi Germany," because political correctness abounds. This, of course, is pure ignorance, as any Black or Jewish person with the most basic knowledge of history will tell you. The problem is not that Carson has become a prominent Black conservative. There are many conservatives who don't foolishly equate 21st century America with the Nazi genocide that murdered six million Jews. There are many conservatives who see a marked difference between the personhood-destroying impact of the Atlantic slave trade and the forced possession of Black bodies, and a piece of legislation, Obamacare, about which there is admittedly much disagreement. 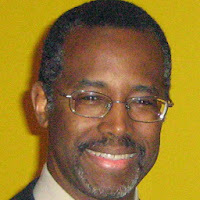 The problem is that, when exposed to the political limelight, Carson's “gifted hands” have become careless, callous. And that's a huge problem for former admirers like me. Before our eyes, he is trading in the lasting significance of his impact on the world for whatever small reward is offered to him by CPAC, Fox News, or whatever Tea Party figure applauds him next. And we—the Carson boys, who met him years ago in our low moments and who he helped in ways small or large—can only watch in horror. For us, Dr. Ben Carson's story has become an American tragedy. We can only pray that he reclaims his narrative in a way that still will offer others hope.